“Kicks” seems to be made for blasting with the windows down, with all your friends singing along on a summer road trip. “Until the Light” and “Fight Club” are some of the strongest songs on the album, while lead single “Giants” and “Moonshine” are anthemic tracks that belong on an epic movie soundtrack somewhere, if they aren’t on one already. The album flows well and tells a story on its own, even without the comics figured in. It’s a solid, cohesive work, which is something that seems to have become rare in a world fueled by singles and streaming. Without the comic and everything else, there would still be a great album here. But it’s Lights’ dedication to her art and this vision that elevate this even more. 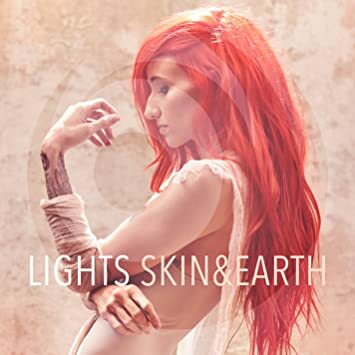 Personally, I’d love to see these songs on a soundtrack all their own—in a Skin&Earth movie. The story and album seem like they’re made for it and it would be amazing to see Lights’ artistic vision go even further with this world.